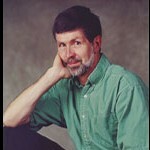 James Charles Smith is the John Byrd Martin Professor of Law at the University of Georgia, where he has taught since 1985. He specializes in property, real estate transactions, and commercial law. He earned a bachelor's degree from St. Olaf College and a law degree from the University of Texas. After serving as law clerk for Judge Walter Ely of the Ninth Circuit, Smith practiced law for four years with the law firm of Baker Botts in Houston, Texas. From 1982 to 1985 he taught at the Ohio State University College of Law. He is author of numerous articles and five books (Contracts and Conveyances of Real Property, Federal Taxation of Real Estate, Neighboring Property Owners, and two casebooks). An avid runner, Smith has participated in the Boston Marathon on five occasions between 1981 and 2002.